Link To Us - Quick & Easy! 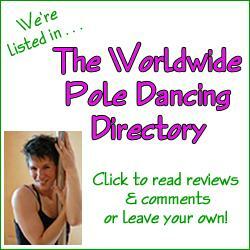 We've created these text links and banners to make it easy for you to connect visitors to our pole dancing directory, our home page, or to any other page on our site (see custom linking, below). Just copy the code in the text box below the banner or link that you want, then paste it onto your website. 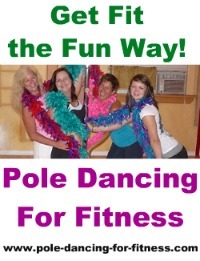 Easy...and potential pole dancers everywhere will thank you for helping them find the information they're looking for on our site! Click on a category below to jump directly to the available links in that group, or scroll down to view all available links. Note: as it's too wide to display on this page, we've shrunk this banner to fit. However, the code will produce a banner 725 px wide, so please ensure your page is wide enough to display it! to display the above banner on your website. to display the above text link on your website. Would you like a custom banner or text link to display on your website? Want a special size? Need help pointing a link to a specific page on our site? Just email us. We'll be happy to create a custom text or banner link, or help you link to a particular page.